It is officially Autumn! I love it! I...LOVE...IT!! I love the changing leaves, the cooler weather, everything. So this year, to celebrate the first day of Fall, I decided to head over to our local apple orchard Hidden Hills Orchard. This was my first time there and I am so glad I went! I knew it was going to be a great day as we pulled over the ridge and it revealed the stunning farm complete with pond, rolling hills, and the most adorable country farmhouse you have ever seen. Being that I am a West Virginia girl I was ecstatic to find out that it was the Golden Delicious Apple picking day (that is our state fruit). The apples were so plump and ripe that you could smell the juices wafting in the air. Another thing that was appealing about this particular orchard is that they use what is called dwarf trees. That means that even the smallest of pickers can get in on the action! So after picking about 7 pounds of apples, and buying some of the BEST apple cider I have ever tasted, I headed home to make something very special for my mother-in-love, Dora. Dora LOVES applesauce and she eats it with EVERYTHING. 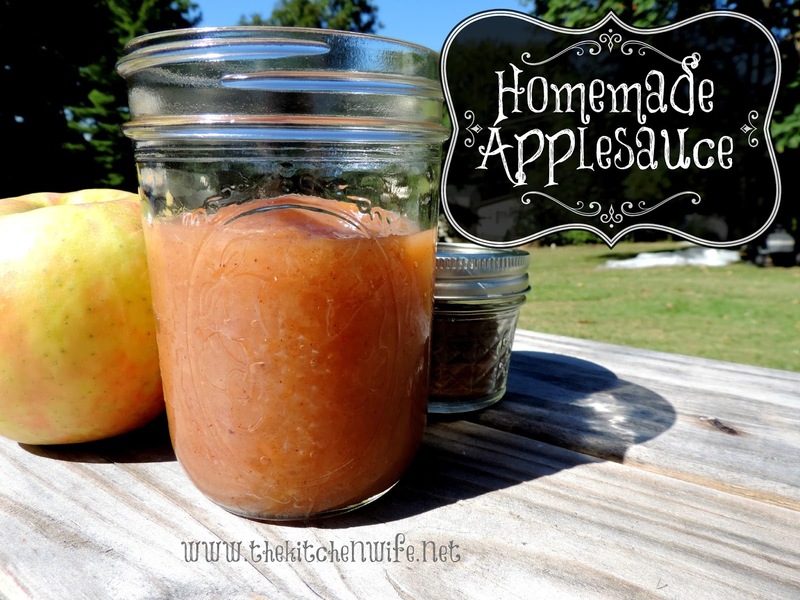 I thought that it would be really nice for her to have some Homemade Applesauce that was hand picked and made with lots of love, just for her! Here is how I did it and you are not going to believe how simple it was! The first thing I did was run a sink full of water, then added a splash of white vinegar. It is always important to wash your fresh produce, but when you know that it just came off of the tree it is especially important. After I let the apples soak for about 10 minutes, I rinsed them thoroughly and peeled them with a vegetable peeler. Next I cut the cheeks from the core and cut them into slices. I placed the lid on the slow cooker, set it on low, and let it go for four hours. After four hours the apples have broken down and natural sugars have really come out to shine. They are so tender that you only need a fork to mash them up. Wash the apples by running a sink of water and adding a splash of white vinegar. Let soak for about 10 minutes. Cut the cheeks from the core. Cut the cheeks into slices. Place into a slow cooker and add the apple cider, salt, and cinnamon. Place the lid on the slow cooker and turn to the LOW setting. Let cook for four hours. Use a fork to break up the apples.